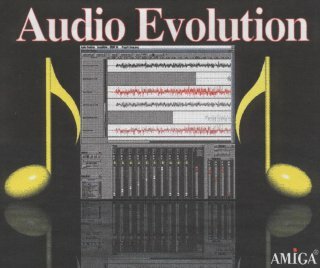 Audio Evolution is an audio harddisk recording system primarily aimed at musicians who want an easy-to-use multitrack recorder for home-studio applications. It is based on the AHI system by Martin Blom, which makes it possible to run Audio Evolution on every modern soundcard designed for Amiga computers. Because of the efficient mixing routines of AHI, it is possible to play up to 30 tracks at the same time on expanded systems, even without PowerPC technology. But that's not what makes it a good harddisk recording system: Audio Evolution also offers a versatile mixing desk including individual channel and master level display, mute, solo, panning, subgroups and realtime effects. Besides that, full mixer automation gives you mixing possibilities only limited by your imagination. Also take a look at the timeline display with its marker system for fast positioning in the song, locators and punch in/out features which save you precious time in your recording session.